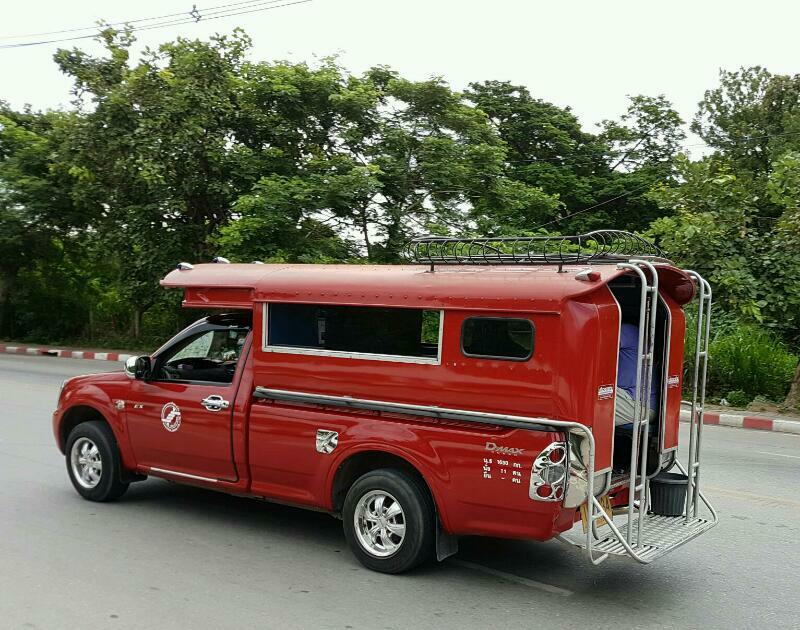 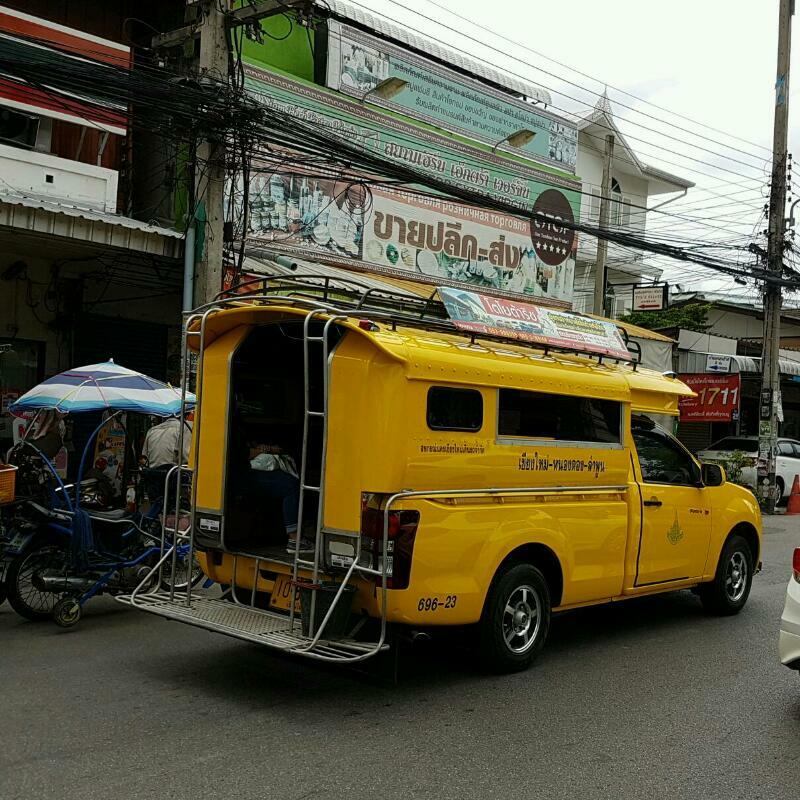 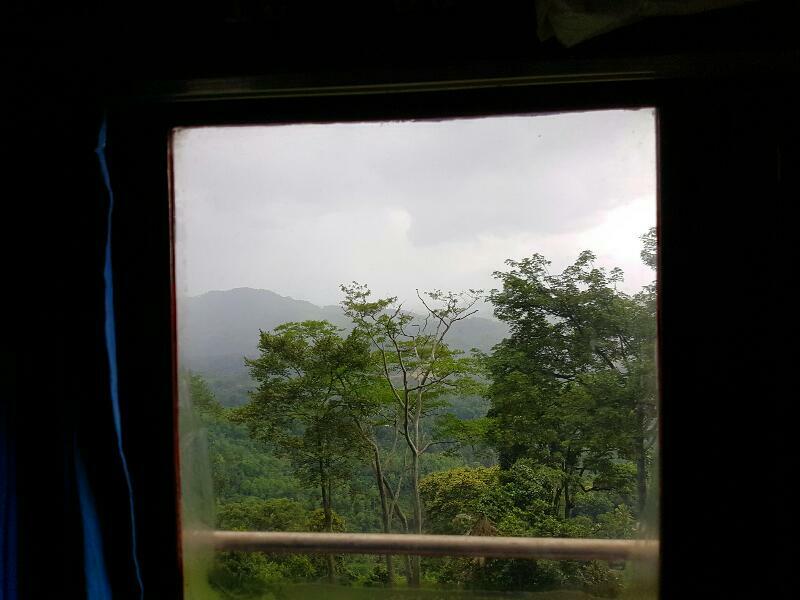 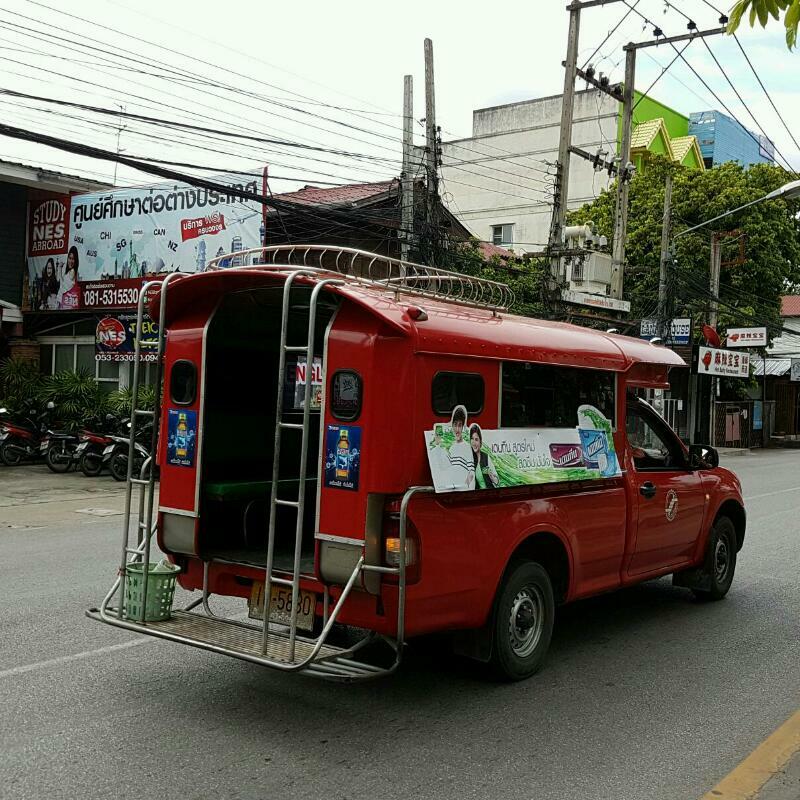 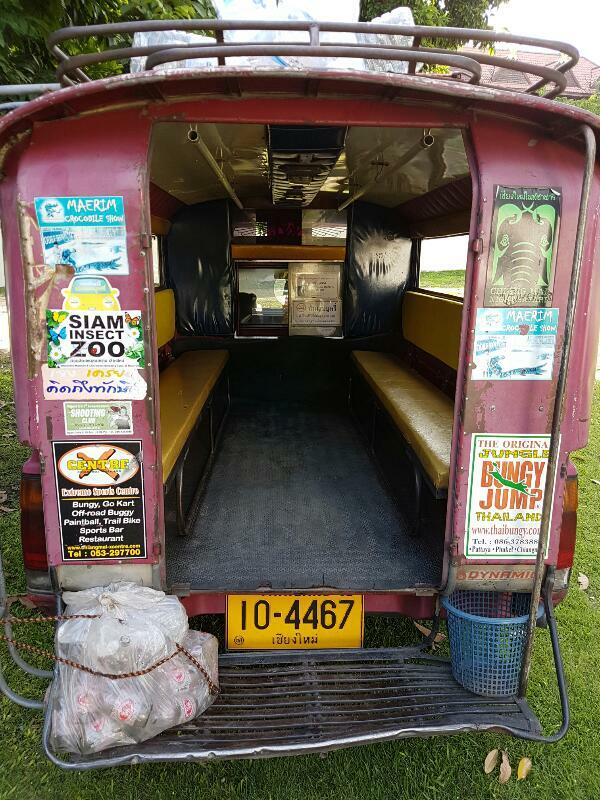 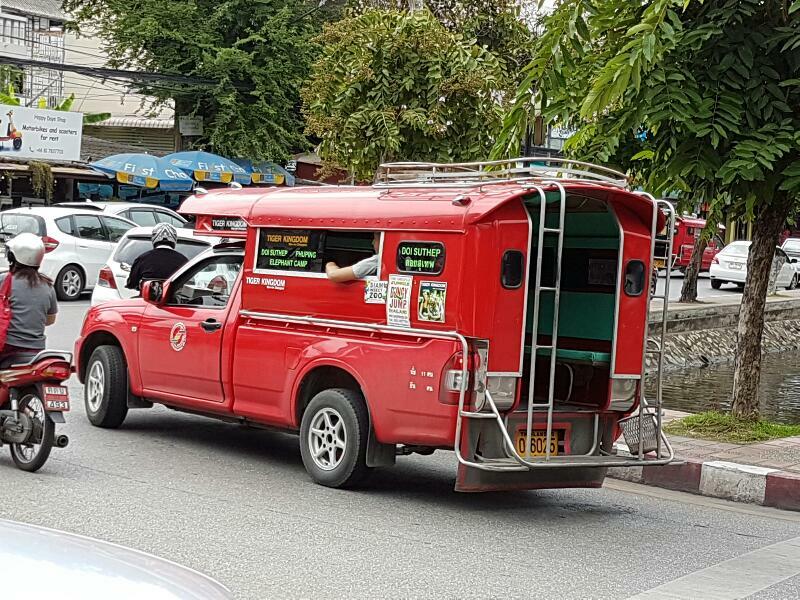 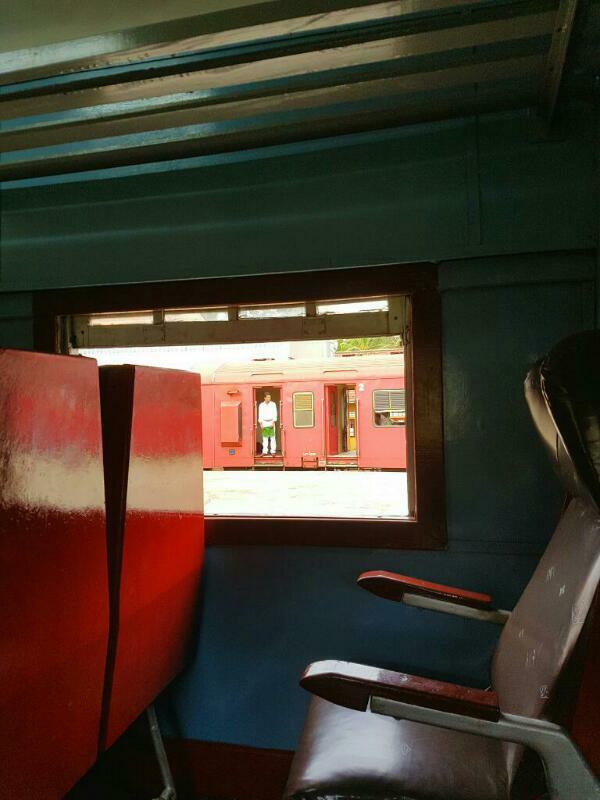 Normally red in color, this pickup truck transformed into Philippine jeepney-like vehicle is used as a means of passenger transport around Chiang Mai. 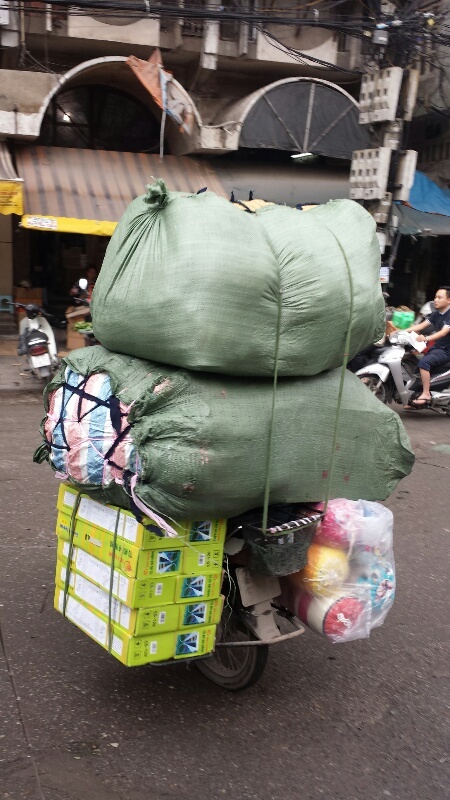 I like the idea that there is a trash basket on one side of the step platform. 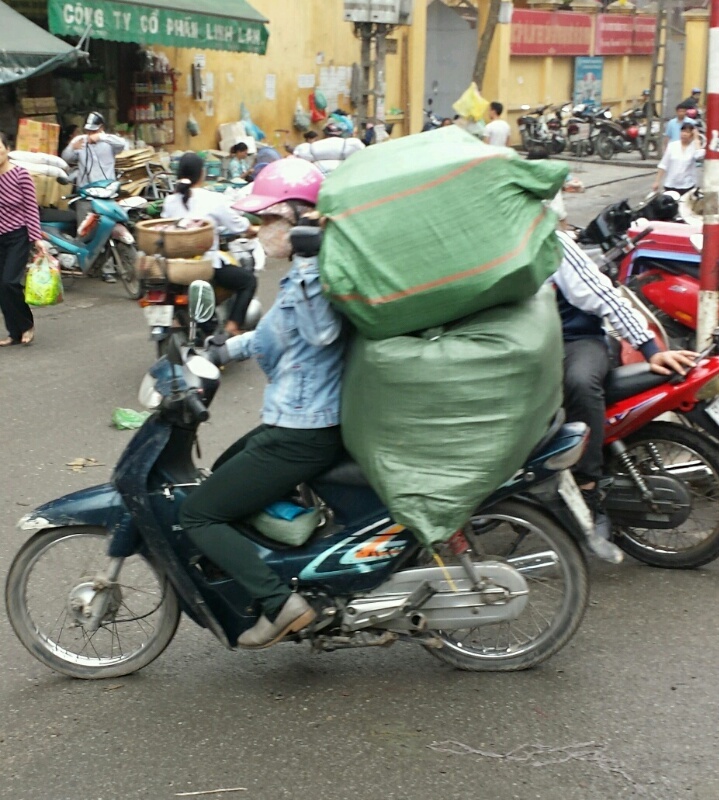 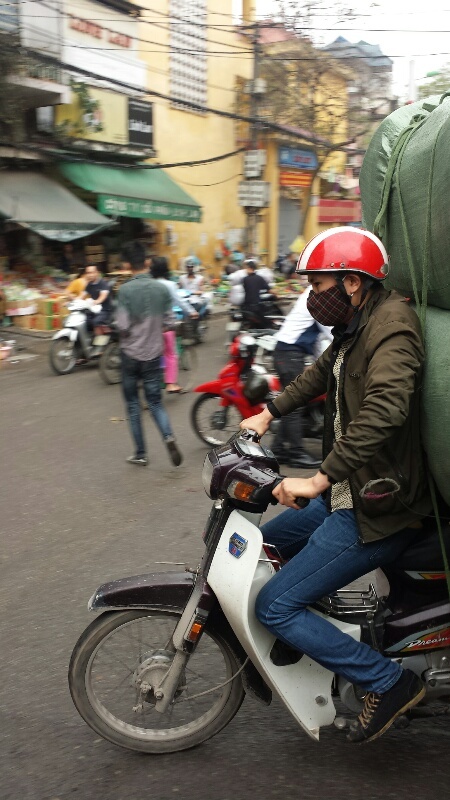 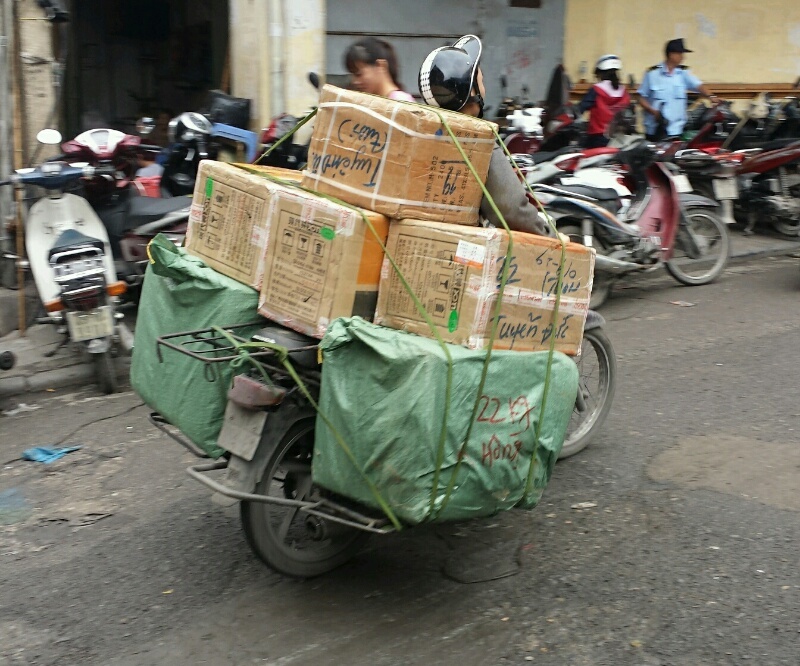 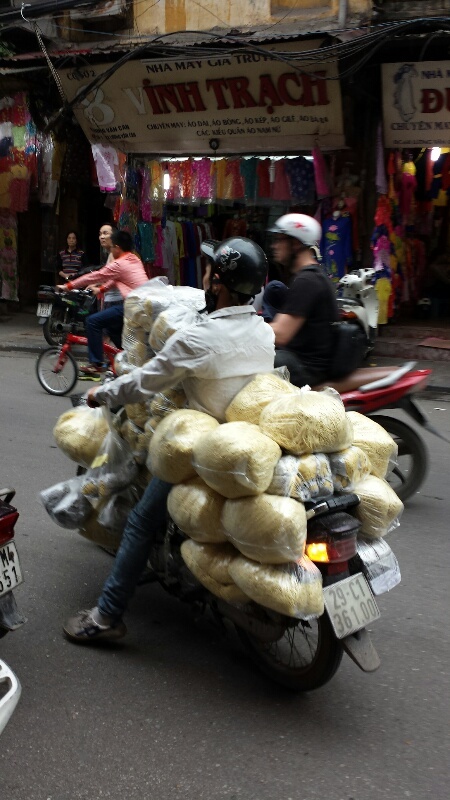 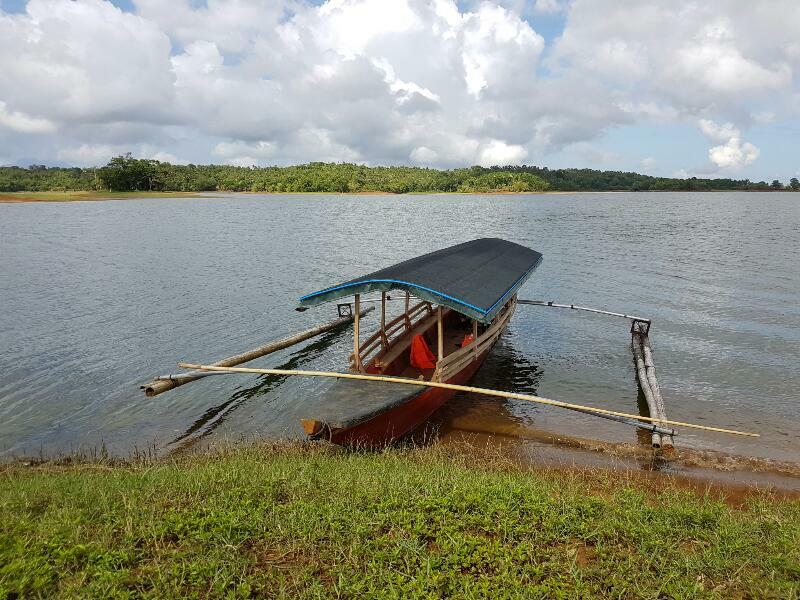 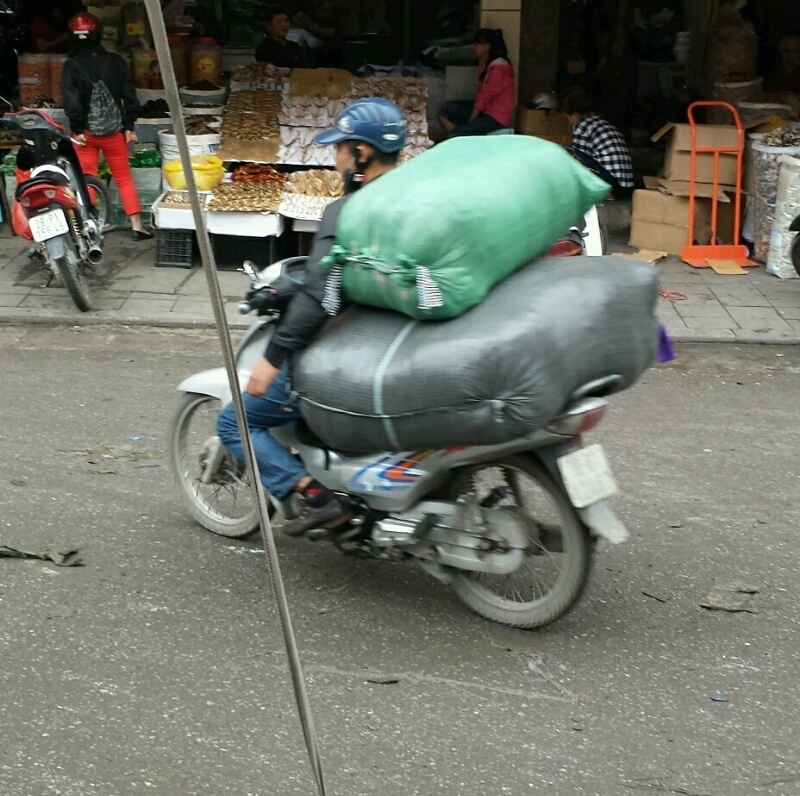 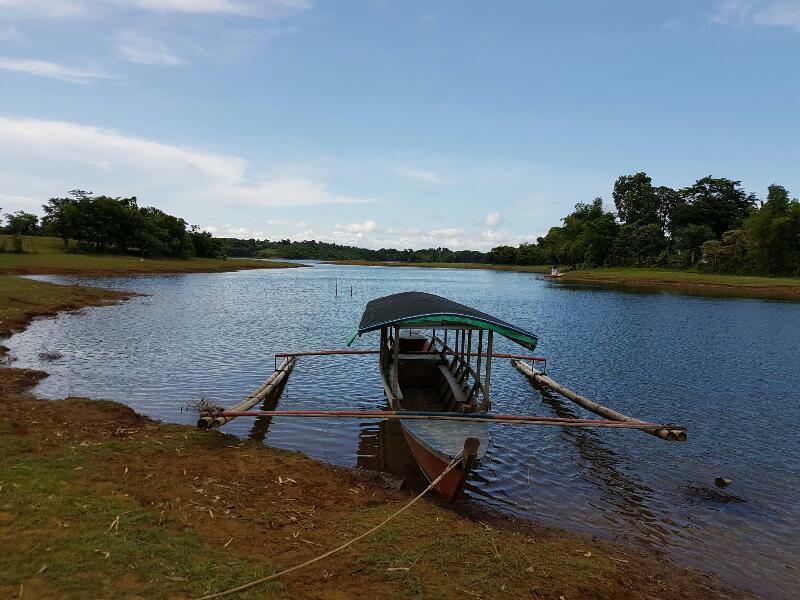 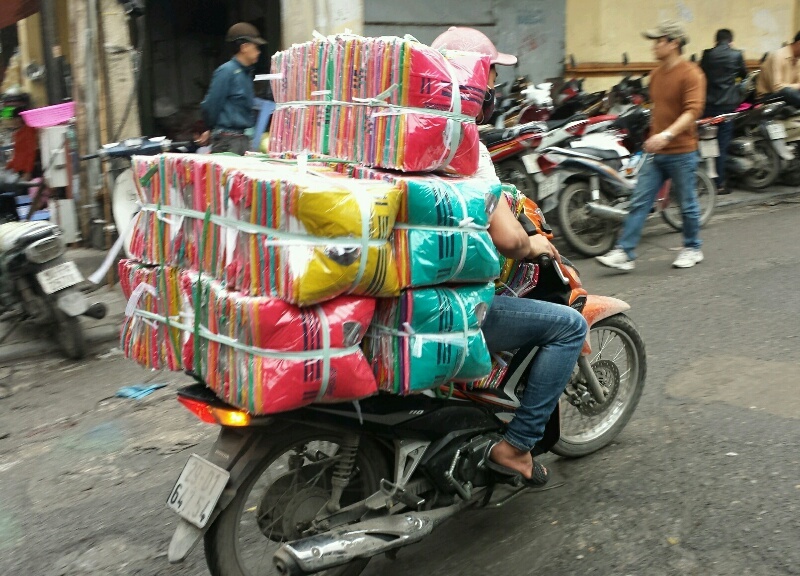 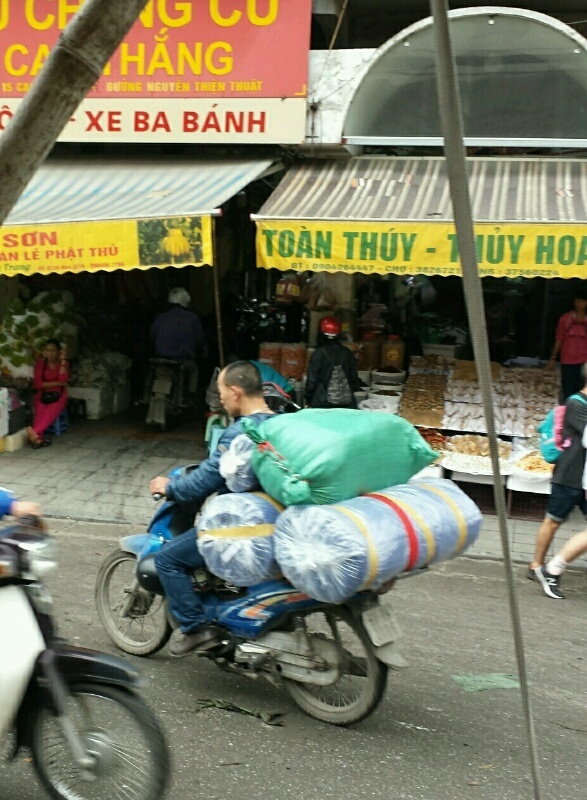 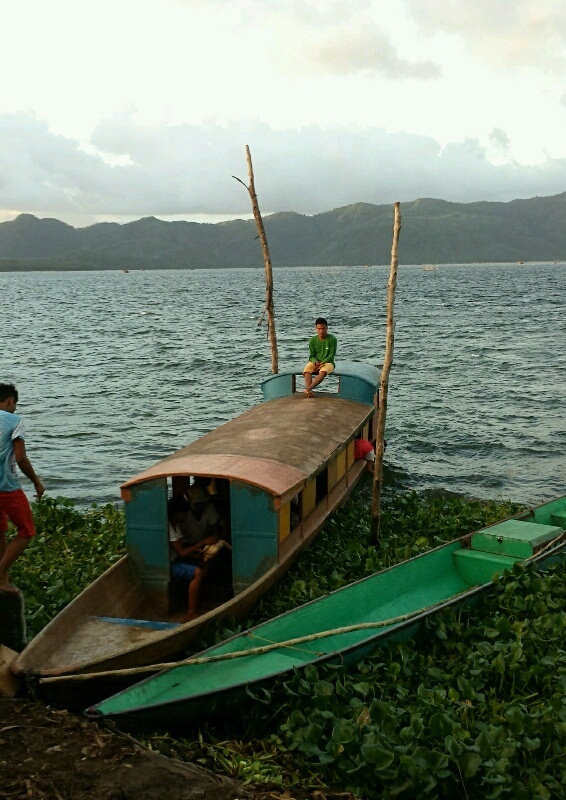 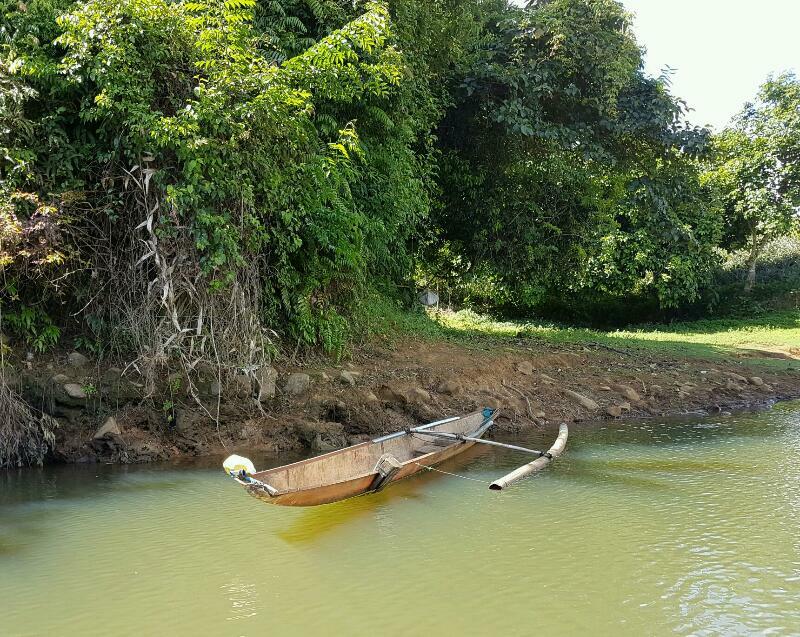 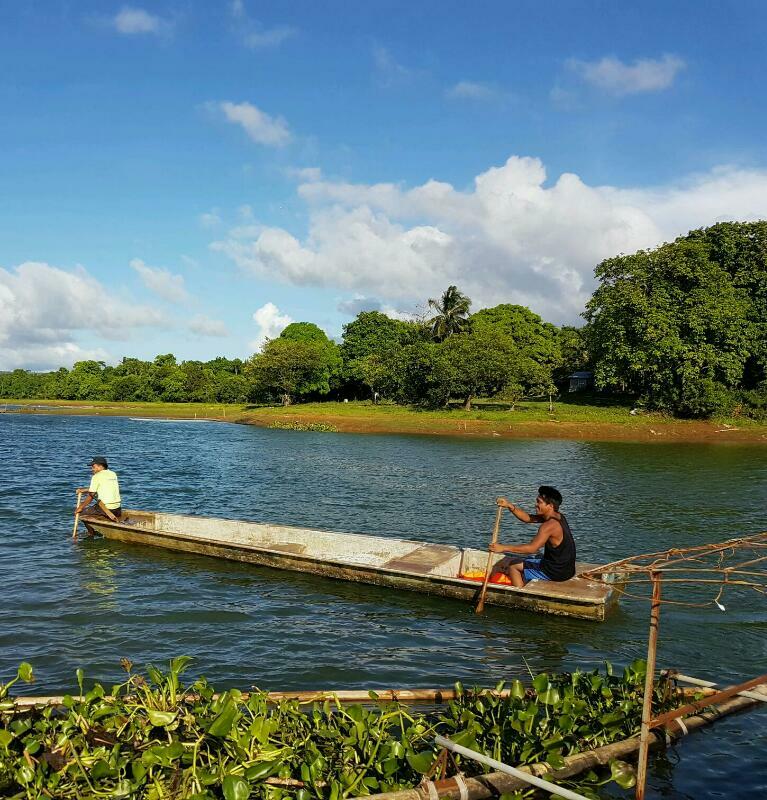 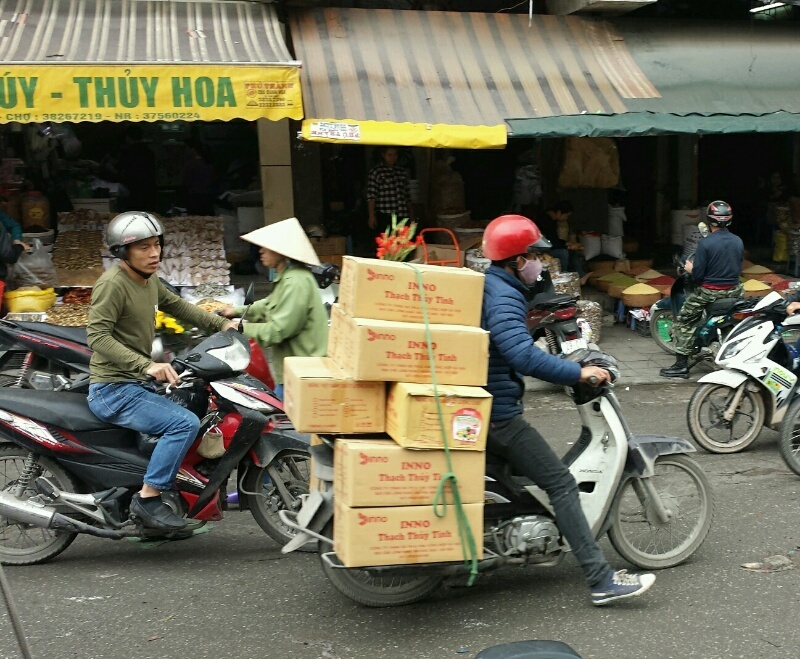 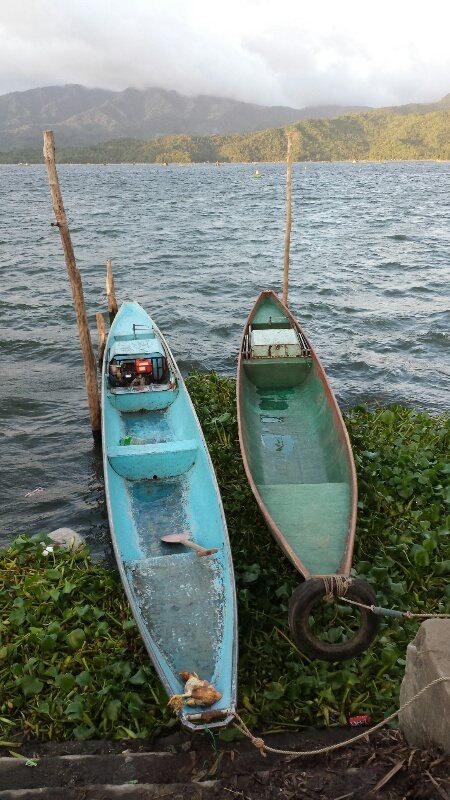 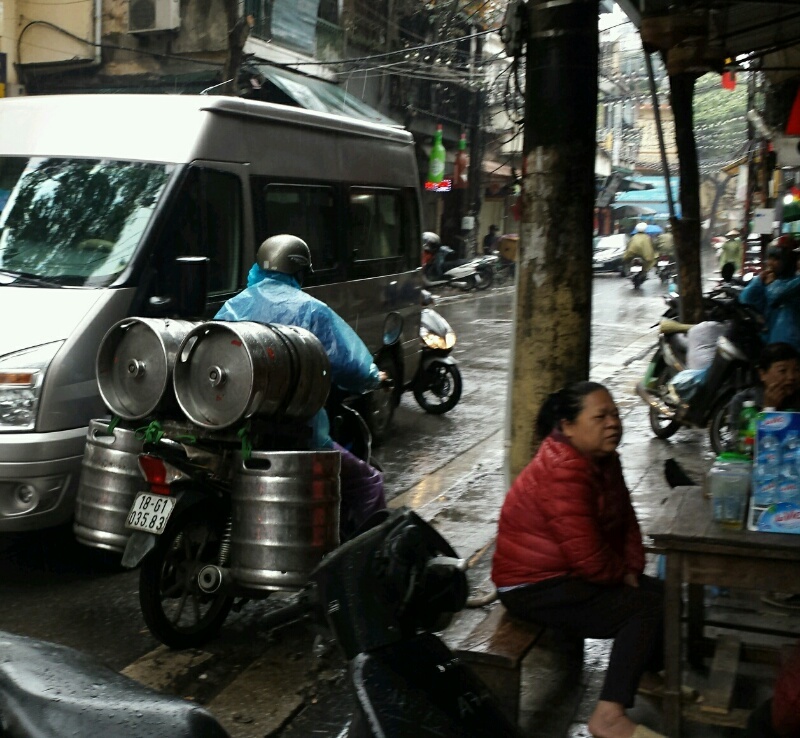 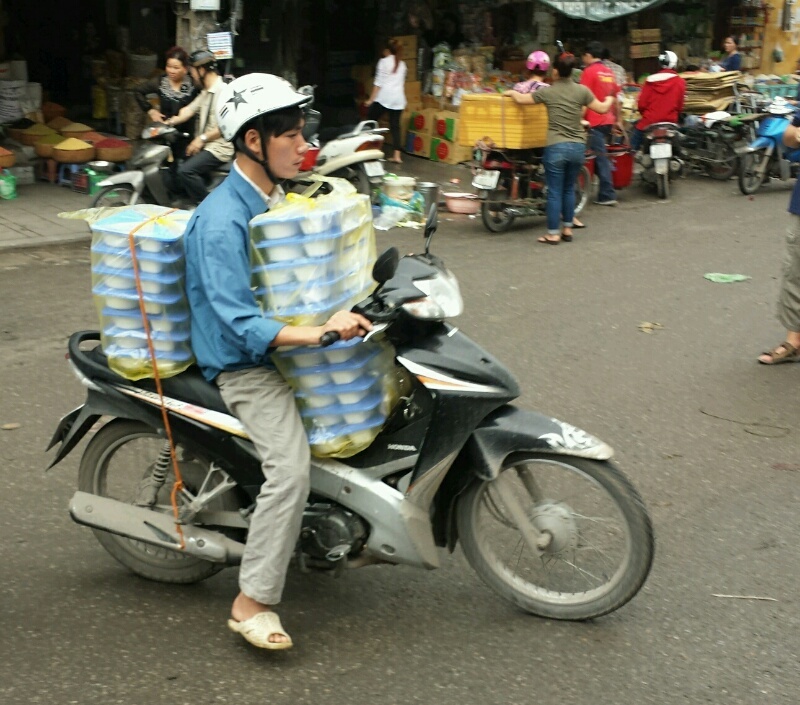 Motorcycles are deeply integrated in Vietnamese day to day life that utilizing them for cargo transport is a practicality.